I was in college when I saw the movie A Room with a View. It was my first experience with a Merchant Ivory production. 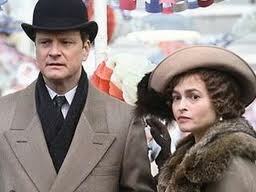 I loved the periods, costume and set direction and scenery of their films. I would cry just at the sheer beauty. What a sap I was! Then throw in some Puccini opera on the soundtrack- I was in love (sniff, sniff). 1990 or 1890 - big poofy hair was in. 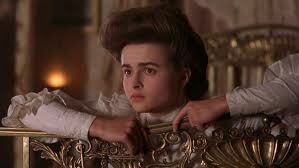 This was my first exposure to Helena, who played Lucy Honeychurch. I thought she was lovely. That big mess of curly, dark hair. I wanted to wear an Edwardian dress with a big hat and stroll on green lawns of English estates. I had some long skirts and button down shirts in my closet. My then roommate- Ginhee- made me purge my ‘prairie looks’ as she called them. She didn’t understand my Merchant Ivory penchant for fashion. Well, I don’t blame her. By the way, Merchant Ivory is two people not one. Ismail Merchant and James Ivory produced and directed a bunch of films in the 90s that I was obsessed with that all had the same style of culture, art and repressed passion. Now Miss Bonham Carter wasn’t always perfect. 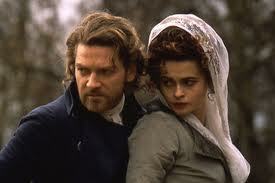 It was reported that she cheated on Emma’s (Thompson) then husband Kenneth Branagh while they filmed Mary Shelley’s Frankenstein. Shame on them! Poor Emma. But now Helena is with Tim Burton and they make the perfect couple. Cooky meets crazy! 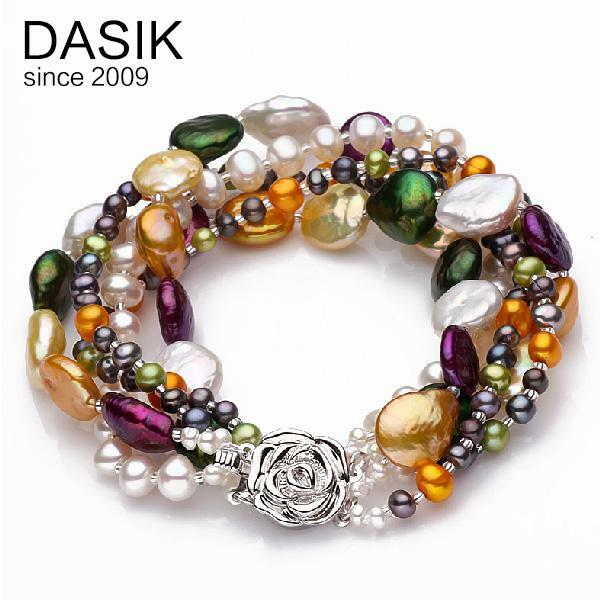 A match made in creative crazy heaven. 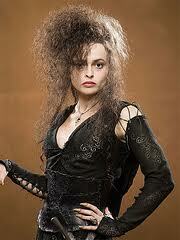 I loved Helena in Harry Potter as Bellatrix LaStrange. How perfect for her. Bellatrix eats the same squirrel food as Helena because she’s nutty too! Bellatrix- this girl definitely poops squirrel turds- dontcha think? Of course, last year, Helena’s portrayal as the Queen mum in The King’s Speech was poignant, loving, and completely devoid of any craziness. 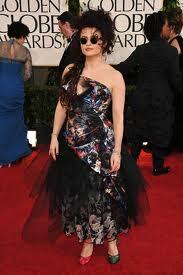 Who else can do the red carpet like Helena? It would be disappointing if she showed up in a ‘regular’ couture look. I wasn’t a fan of Sweeney Todd. (shh, don’t tell her that.) But I loved her as the Red Queen in Alice in Wonderland. Nothing beats the line, “I love a warm pig for my aching feet.” And who remembers her stint on Miami Vice? Ha! Betcha you forgot that. I love everything she does down to her mismatched shoes. I probably wouldn’t let her babysit my kids, but I would love to do tequila shots with her and Tim. How fun would THAT be? Johnny Depp could show up too. She has been nominated for an Academy Award twice. Maybe one day she’ll win. Or maybe not. I doubt she cares. Thanks for keeping it real Helena. Last year's Golden Globes and the mismatched shoes. Hey- they were the same brand, just one of each color.